A hospital doctor says thousands of people in East Yorkshire are unaware they are living with a disease which could claim their lives. 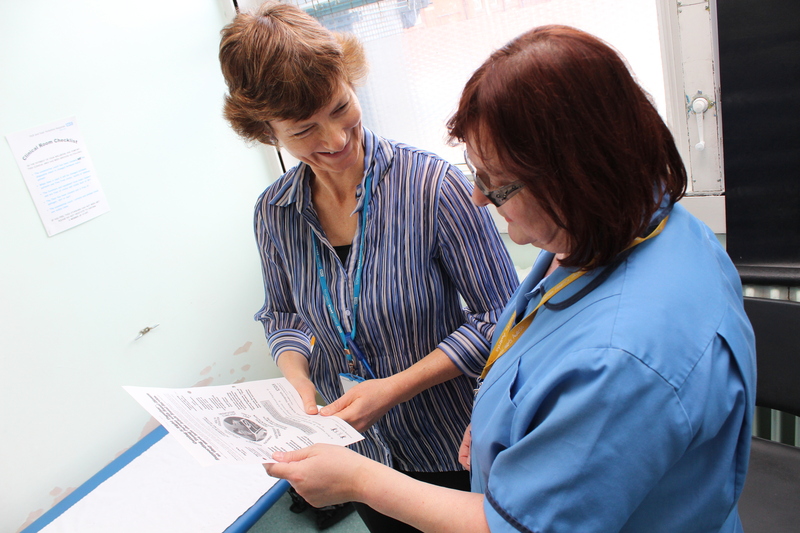 Dr Helen Collinson, consultant nephrologist at Hull University Teaching Hospitals NHS Trust, said around three million people in the UK have chronic kidney disease (CKD). However, around one million do not realise they are living with a condition which can lead to kidney failure, fatal without treatment by dialysis or a kidney transplant because they have no symptoms. Dr Collinson said: “The main thing about chronic kidney disease is that it affects a lot of people but doesn’t actually cause much in the way of symptoms for many. “However, if we can diagnose the condition early, we may be able to help to slow down its progression, reducing or delaying the need for kidney replacement treatment such as dialysis or transplant which can make a huge difference to a person’s quality of life. The main thing about chronic kidney disease is that it affects a lot of people but doesn’t actually cause much in the way of symptoms for many. “However, if we can diagnose the condition early, we can help to slow its progress and that makes a huge difference to a person’s quality of life. Hull has a dedicated kidney unit at Hull Royal Infirmary, satellite units led by nurses at in Bridlington, Grimsby and Scunthorpe and patient outreach clinics at Bridlington, Goole, Grimsby and Scunthorpe. The trust plans to mark World Kidney Day on Thursday, March 8, with staff and patients manning a stand in Hull Royal Infirmary’s restaurant to raise awareness among NHS workers, other patients and visitors to the hospital. The theme of this year’s event is kidney disease and women’s health, with the condition more common in older women than men. However, because the condition progresses more slowly in women, fewer need dialysis or a transplant. People can reduce their risk of developing chronic kidney disease by changing their lifestyles right now. Stopping smoking, reducing the amount of salt and saturated fats we eat, taking regular exercise, always drinking plenty of water and maintaining a healthy weight can all reduce the risk of developing CKD. However, lifestyle changes can also help a person who already has kidney disease. Symptoms of CKD can include weight loss and poor appetite, swollen ankles, feet or hands caused by water retention (oedema), shortness of breath, tiredness, blood in urine and an increased need to urinate, particularly at night. Some people will have insomnia, itchy skin, muscle cramps, nausea and headaches. Men with kidney disease can also experience erectile dysfunction. If you have high blood pressure, diabetes, family members with kidney disease, have had pre-eclampsia or are from a BME background, ask your GP for a kidney function test.